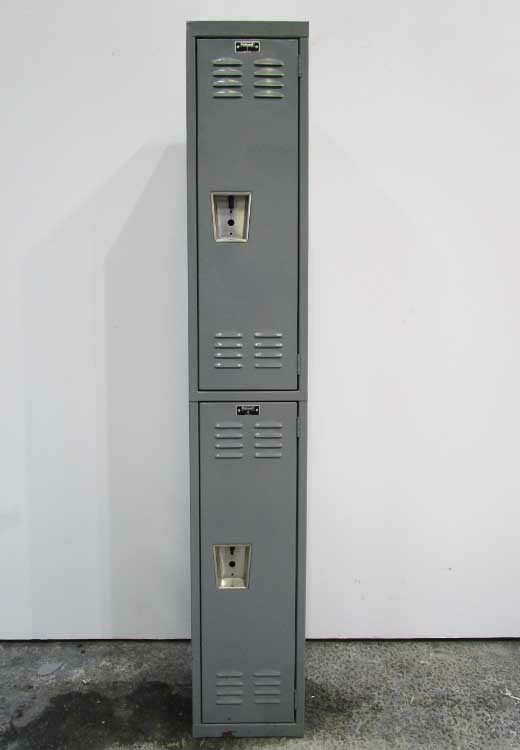 These Old Vintage Lockers are available on www.buyusedlockers.com where they have a huge selection to choose from if we need additional supplies. 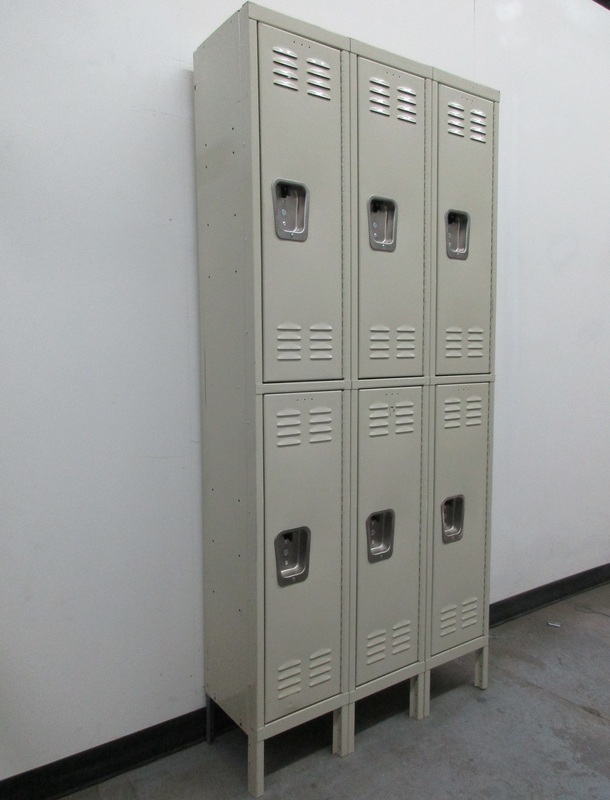 These old 2-tier metal lockers have been well used but are still fully functional. If functionality is more important than looks, these are the lockers for you. Each compartment is 12" wide x 12" deep x 30" high in columns that are 60" high overall. They were originally blue, but the previous owner painted the outside of the lockers red. As you can see in the pictures they are a bit rusty, but they still function perfectly and when used with a padlock they still offer secure storage for all your belongings. These would be perfect for warehouse use where looks are not as important as functionality.